Juaquina She is an Orlando Poet and Public speaker. Through talks, poetry, and blog posts, she creates a safe space for women to be transparent without judgement. From that space, she holds their hand while walking to a place of healing together. 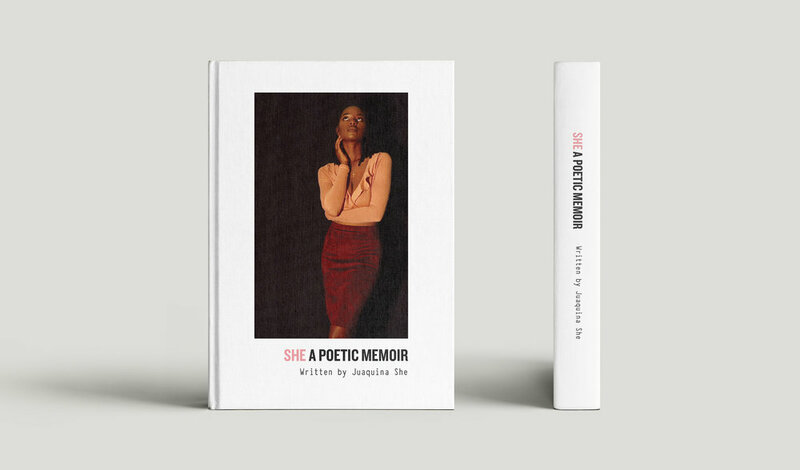 Juaquina first reached out to me wanting to work on her first poetry book [design + formatting] and I couldn’t have been happier. Just from our initial conversation, I knew I wanted to work with her. She’s a kind spirit who has so much to share with the world, and I’m glad I had a small part in helping that happen. She then returned and wanted to invest in her website and branding… again, thrilled to work with her! If you’d like to support her by purchasing her book, click here.